Pidgin is compatible with the following chat networks out of the box: AIM, ICQ, Google Talk, Jabber/XMPP, MSN Messenger, Yahoo!, Bonjour, Gadu-Gadu, IRC, Novell GroupWise Messenger, Lotus Sametime, SILC, SIMPLE, MXit, and Zephyr. It can support many more with plugins. 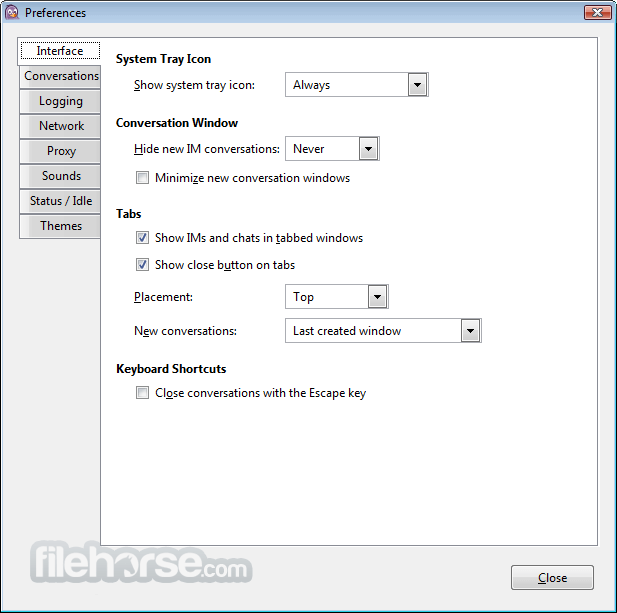 Pidgin supports many features of these chat networks, such as file transfers, away messages, buddy icons, custom smilies, and typing notifications. Numerous plugins also extend Pidgin's functionality above and beyond the standard features. Pidgin is free and contains no ads, enjoy!